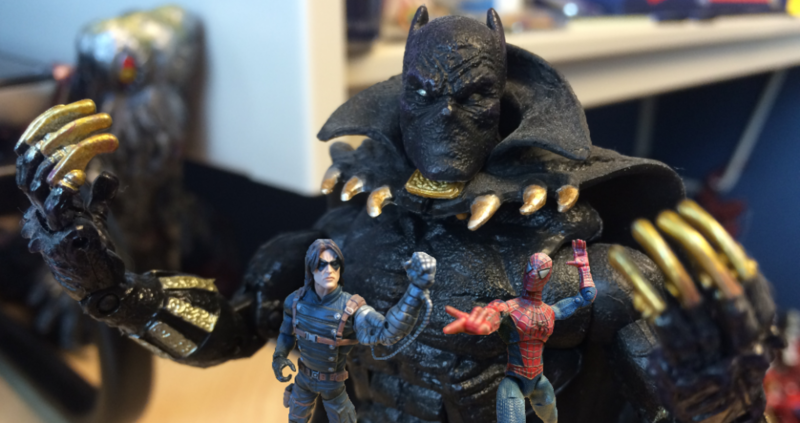 For nearly 10 years a barrage of superheroes adorned my desk at Future and Capcom. 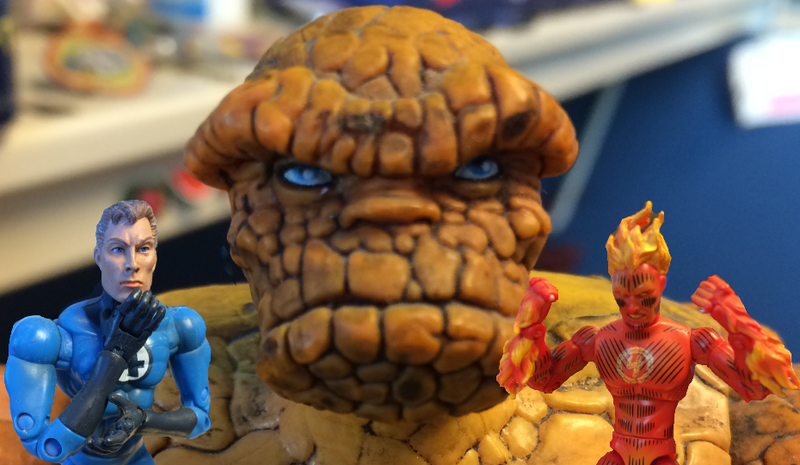 While these action figures ranged from the 80s Secret War line all the way to modern movie tie-ins, most of them came from the 2000s “Marvel Legends” line. This line was known for its detail, articulation and high price point, but damn were they nice! Since leaving Capcom, however, I am without a desk. I had to jettison most of these figures, sending them to loving homes instead of my Toy Story-like purgatory. However, before abandoning them, I took pics to share with everyone! This week we’re looking at characters who play a big role in the most recent Civil War trailer! 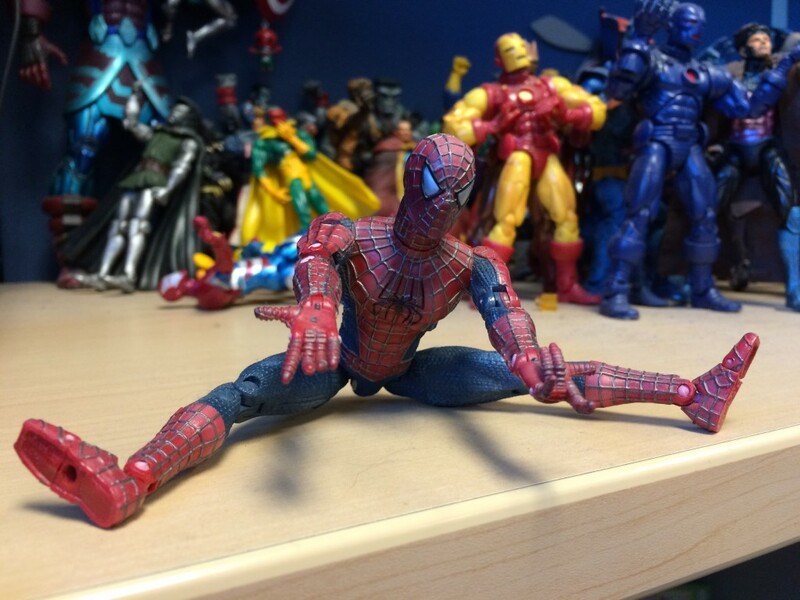 On one hand, this is a damn fine Spider-Man figure with numerous points of articulation and extreme posability. Any kid who got one of these in the mid-2000s likely had a grand ol’ time playing with Tobey and creating lovely childhood memories. 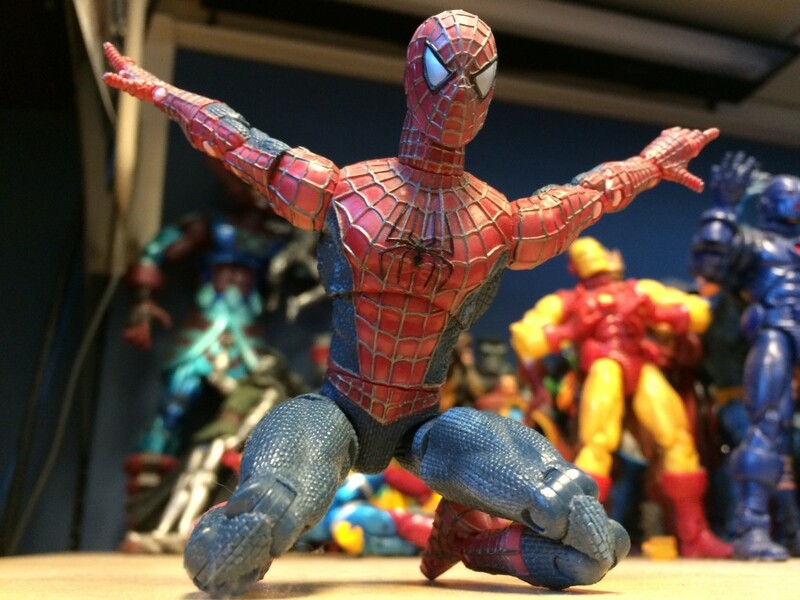 However, this figure largely copies the 2000-01 Spider-Man Classic line, which offered similar articulation in the classic, non-movie costume. 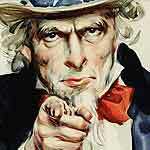 That is to say, no raised webs along the red portions of the costume, no glass lens eyes. Never was a fan of that movie suit! So, after more than 10 years hanging around my desk, it was time to let him go. Again, not a bad figure, I just happen to have similar figures that better represent the Spider-Man I know best. The latest Civil War suit seems to bridge the gap, offering tiny 60s-style eyes with the cloth/Kevlar looking stuff from the Amazing movies. Will I end up with a figure of it??? 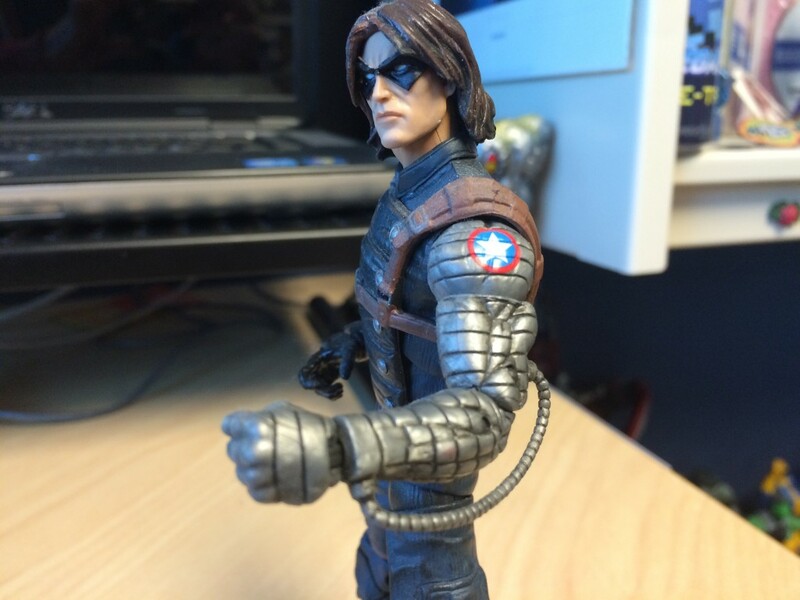 While there were Bucky figures well before this timed-for-the-movie offering, I never, ever actually wanted one. Prior to Buck’s rebirth as a mysterious assassin, he was the only Marvel character to die and stay dead – and that means his costume and depiction was that of a very ‘40s style hero. And that means stuffy, not-exciting dork who’s never going to get picked over another toy. But after Brubaker’s stunning run on the Cap books in the 00s, Bucky / Winter Solider is a perfectly desirable collectible. 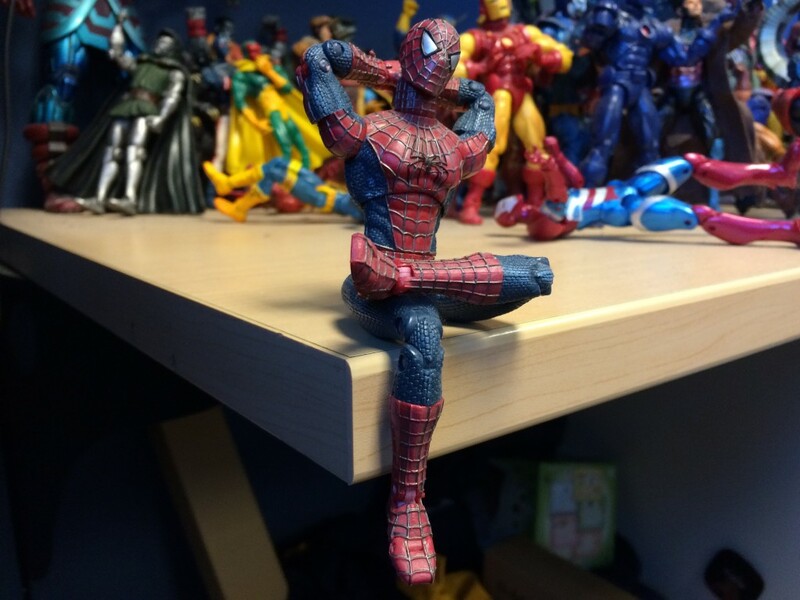 He stood proudly on my desk for about a year, grimacing at all the happy, be-caped heroes around him. But now, when space is at a premium, I have to prioritize toys with tenure – and he doesn’t make the cut. Do love the detail on the arm, though his overall posability is lacking and that was definitely another factor in handing him over to the free table. Worth noting he came in a 2-pack with Black Widow, who I kept! So, I picked T’Challa up and started taking photos, assuming I would let him go. The cape is too rigid and bulky, meaning he takes up too much space. And again, space was my ultimate concern – any shelves I have at home are going to be shallow and a cape of this size ain’t gonna fly. Then I took the cape off and completely changed my mind. He suddenly transformed from an aged caped hero into the sleek ruler we’re about to see in Civil War. His sculpt, detail and articulation are all great and he now proudly stands next to the rest of the survivors. 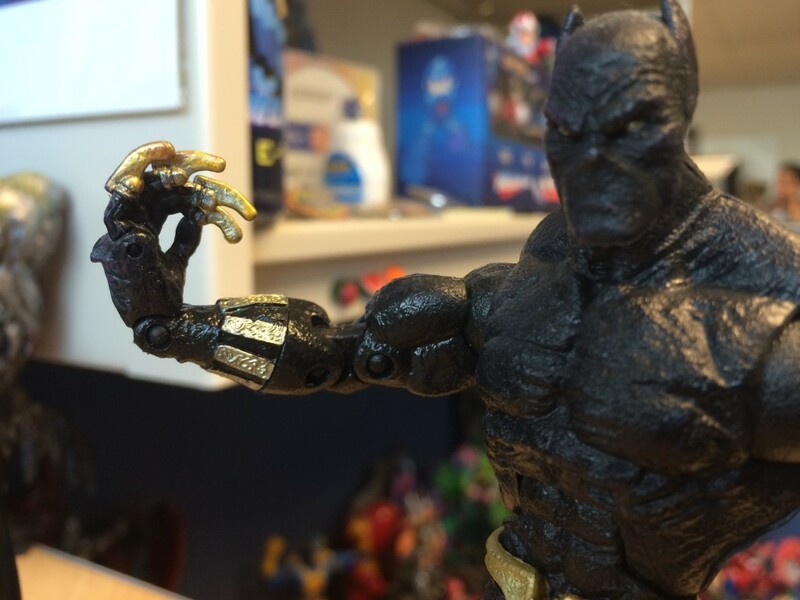 Love those individually articulated claws! 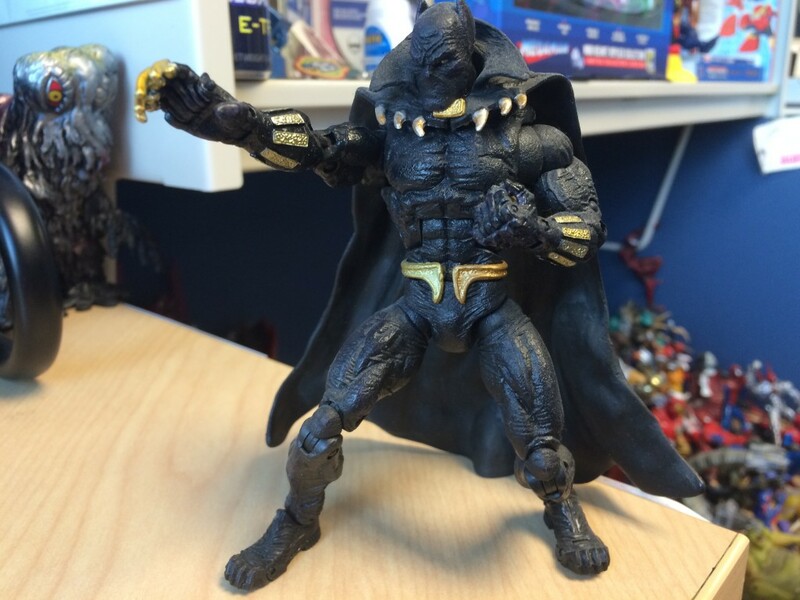 This may actually be the first “real” Black Panther figure, too. There was a bizarre “Marvel Gold” limited edition and things like Minimates or Superhero Squad or whatever, but as far as a “proper” BP figure goes this could very well be the first / only one as of its debut. So that’s another reason to hold onto it! Mad jelly of that Winter Soldier. The fact you gave it away for free is driving me nuts right now. 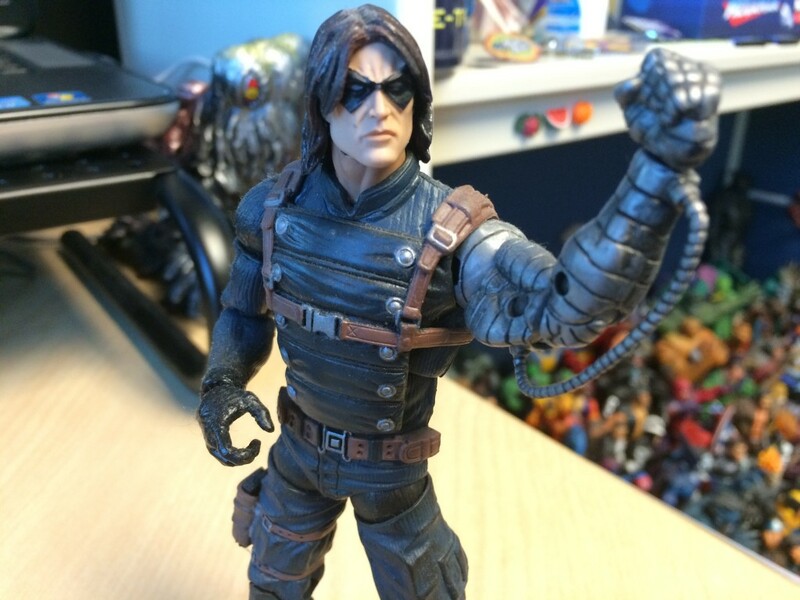 It’s a pretty rare figure at this point and if you want a Marvel Legends comic version of The Winter Soldier, that’s it. Hasbro made a Winter Soldier figure timed for when Cap 2 came out but it was the movie version for obvious reasons (and it came with a really stupid red sniper rifle). There’s also a Marvel Select Brubaker version but I’ve covered my issues with that scale in the comments of a previous Talkin’ Toys. Anyways, really hope they make another Bucky in that style because I really don’t want to drop the $100+ that this version goes for in the aftermarket. 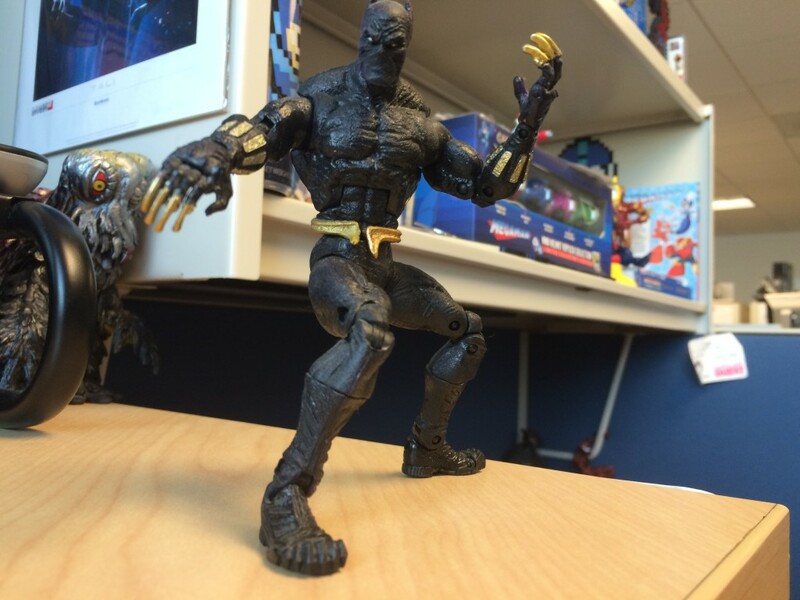 I really wanted that Black Panther figure, if it’s the one I’m thinking of. 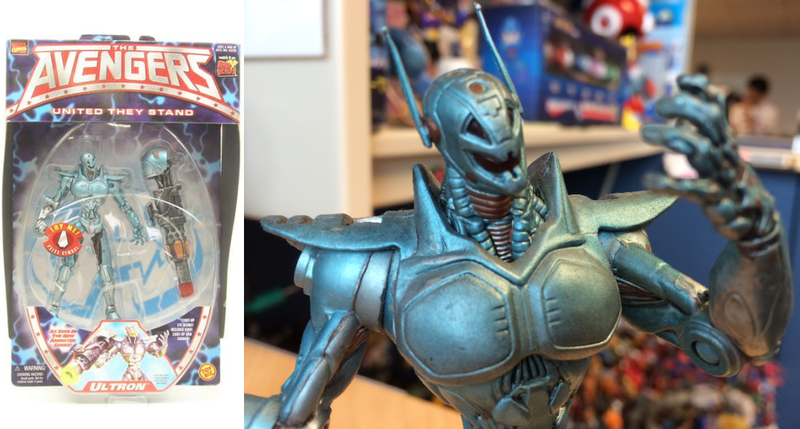 It came with part of that radical looking Sentinel toy, right? I held off buying it because I didn’t need to start collecting dolls on top of what was at the time a dire comic book habit. I guess I can live vicariously through you, B. Treat him well. He is a King, after all. This is a really cool feature. I can confirm, as a 6 year old when the 2002 movie came out, I got a bunch of those figures and loved the hell out of them. Although the silver, textured webbing always felt weird to me I still have those toys and they hold fond memories for me.